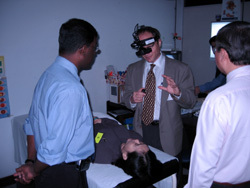 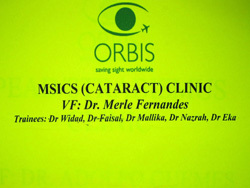 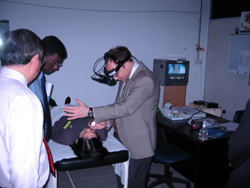 The second week of ORBIS is devoted to more advanced ophthalmic surgical techniques. 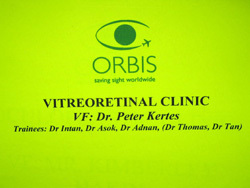 There are three visiting ophthalmologists for vitreoretinal surgery (Dr. Kertes), small incision surgery (Dr. Fernandes) and corneal diseases (Dr. Ambati). 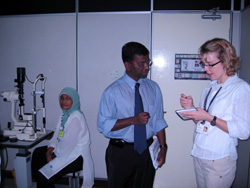 The first day of the second week involves assessing the suitability of patients for operation. 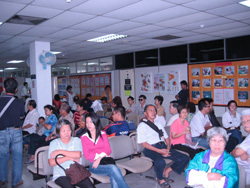 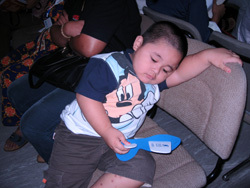 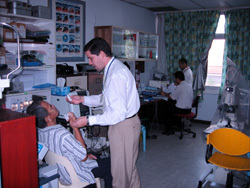 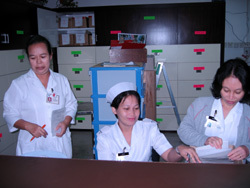 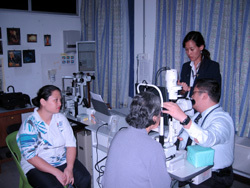 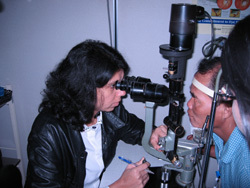 The assessment is conducted in the Eye Clinic of the Sarawak General Hospital. 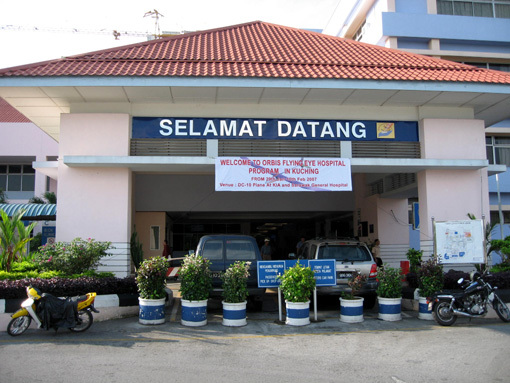 The main entrance of the Sarawak General Hospital. 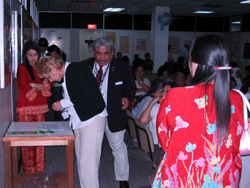 The Sarawak angels at the reception. 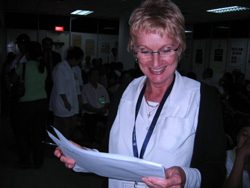 Another busy week for Toni. 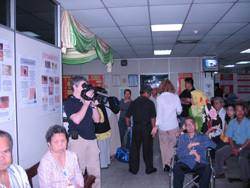 Making sure all patients are accounted for. 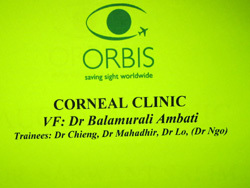 Tired of waiting for ORBIS plane. 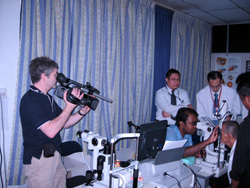 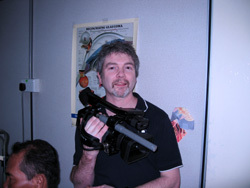 Reviewing patient from last week..
Gavin the ORBIS camera man. 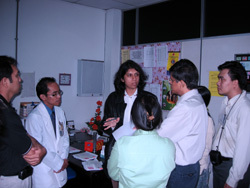 A discussion on small incision surgery. 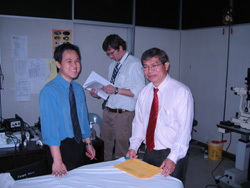 Dr. Law and Dr. Intan. 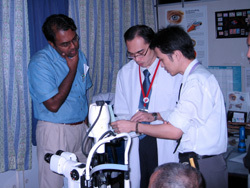 Discussing patient for corneal graft. 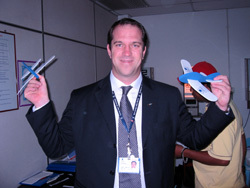 Mr. Drew Boshell with two ORBIS planes. 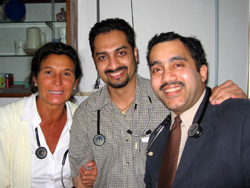 The 3 very nice anaesthetists. 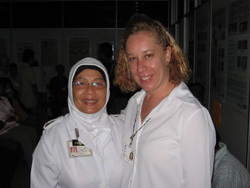 Caroline and Tisha with ORBIS plane.